This spacious, apex roofed 5 sided summerhouse fits snugly into a corner of your garden. 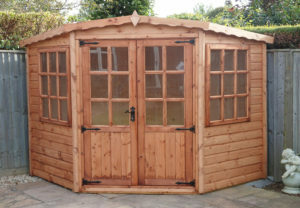 The Whytewell is available in either 6’ x 6’, 7’ x 7’, 8’ x 8’, 9’x9’ or 10’ x 10’ sizes. The Whytewell features a pair of fully lockable, mortice & tenon Doors with antique hinges & handle and an opening window either side of the door. This garden building is constructed from tongue & groove shiplap on the four walls & tongued & grooved matching on the floors & roofs. 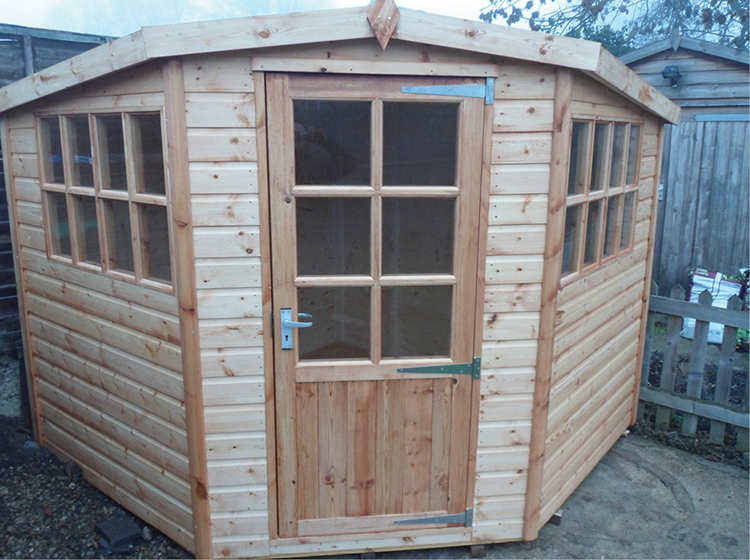 The building comes with pressure treated bearers on the floor & toughened glass fitted as standard & is externally treated with a spirit based preservative. 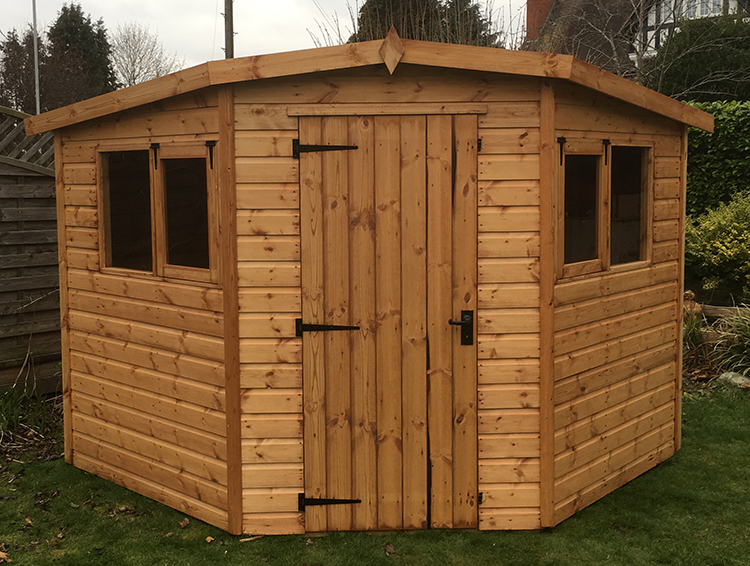 The Stanwell will fit snugly into that unused corner of your garden and create a storage space you may not have thought possible. This five sided building is constructed from tongue and groove shiplap on the four walls and tongued and grooved matching on the roofs and floors. 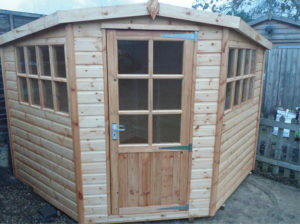 The building comes with pressure treated bearers on the floor, toughened glass fitted as standard, a ledge and brace door complete with lock and key and is externally treated with a spirit based preservative. The Classic range have an opening sash as standard, and the Georgian all fixed. Download our latest Brochure to see full specifications and our complete range.